It's a big decision to make, and one not to take lightly! The answer to the question of how many products you should buy to resell will change, depending on the situation you are in at the moment. Let's take a look at some of the things I take into consideration when making a purchase to resell on Amazon. How Long Will The Item Take To Sell On Amazon? This may seem like a hard thing to determine, but it's important to at least try to estimate this so you can get a good idea of how long you will be sitting on the inventory. My goal has always been to try and sell out of any of my purchases within 3 months of buying them. Now, there are exceptions to that rule of course! Like, if we buy a pallet of inventory at a Liquidation Store, it's usually going to take longer than 3 months to sell out completely. So, that would be one exception to this rule of trying to sell the inventory within 3 months of purchasing it. One of the ways that we can estimate how long an item will take to sell, is by using this rank chart. This was created by Jungle Scout and repurposed with their permission. This chart shows you at what Amazon Best Seller Rank Jungle Scout estimates the category will sell 20/10/1 per day as well as 1 per week. You can download the estimation chart and print it out if you would like! 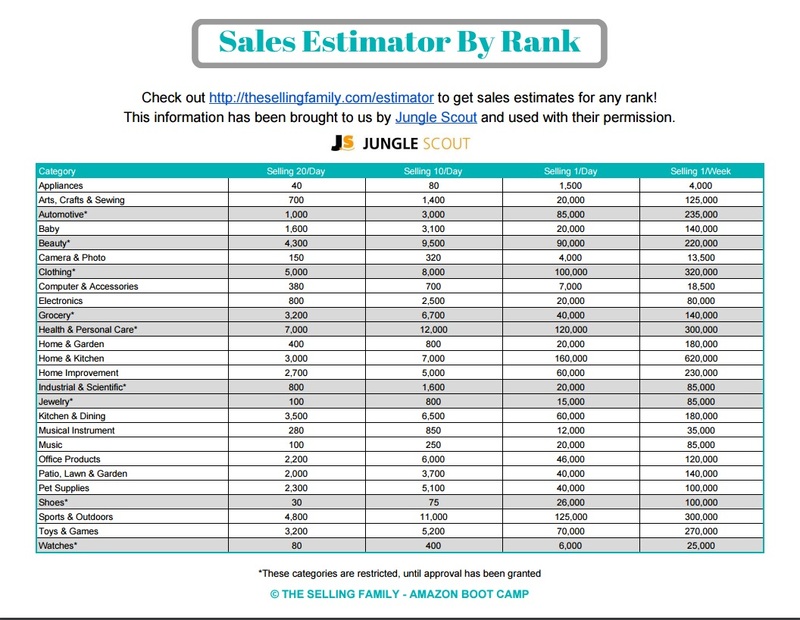 Jungle Scout also has a really neat estimator tool that you can put in any Amazon Best Seller rank and it will give you the estimated sales volume for that exact rank…Handy Dandy. How Many Units Of The Product Are ALREADY Available From Other Sellers? Now that you have an idea of how many units should sell in a day or week on Amazon, the next thing to do is look at how many other units are available for sale already. I use a tool called How Many to show me (can you guess?) how many units of inventory all of the current sellers on an item have in stock. I will do a quick add up of all of those units the sellers at the buy box price have in total. Then it's a matter of figuring out how many will sell in 3 months, subtracting the amount other sellers have, and then seeing how many I could sell. But, it's a good way to know if there is too much competition on an item or not, before buying it. Or, buying a TON of something. Where Is The Inventory Coming From? My answer to how many units should I buy, will change depending on where the purchase is coming from. Will A Bunch Of Sellers Be Buying This Product At The Same Time As You? There are some times where the above information will not help you that much. For instance, if you know that other sellers are also going to be coming onto the listing at one time. 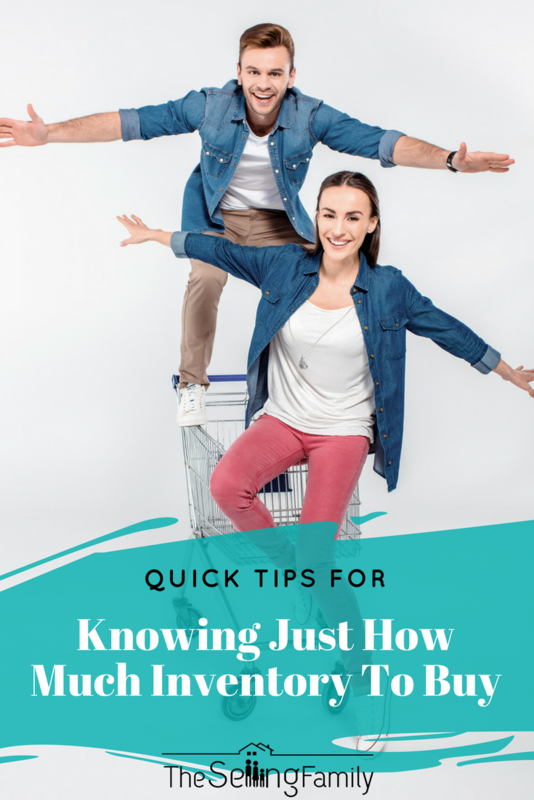 If 10 new sellers come on a listing, and you were basing your purchase amount on the 5 sellers on the listing, the speed of selling your inventory will be pretty skewed. If the item I just found to resell on Amazon is being purchased from one of the above ways, I will usually not purchase more than 5-10 of the item. Unless I am willing to wait out all of the other sellers who get onto the listing. I will also plan to lower my price a little as the market fluctuates with new sellers coming onto the listing…But I won't get all into pricing in this post. Should The Number Of Sellers Stay About The Same? On the other hand, there are times when my calculations work really well. When my items arrive at Amazon, and the number of sellers doesn't fluctuate much! This is the ideal situation, right? When buying regular priced items and liquidation items, the chances of the listing becoming saturated are MUCH better! The nice thing about buying a product that is regular priced, is you can send a few in, test the market and replenish. To test a new replenishable item, we will try to get a 1 month supply of the item. If we sell that 1 month supply and the listing details remain about the same, we will then purchase the 3 month supply. If we are buying a discontinued item, we will actually purchase all that we can get ahold of. The reason this style is so different is because once it's gone, we can't get it again…And with discontinued items, the prices often go up in the long run, instead of going down. This is the whole basis around our guide Liquidation Gold. Alright, back to that 3-month goal of selling inventory on Amazon. There are 2 scenarios where you can get the quantity you purchase to be very close to the amount that will actually sell! When you are ordering your private label products, you know exactly how many to order, based on how many YOU have sold in the past already. So, if you sold 100 units last month, I would say order 300 units the next time, so that you have a 3 month supply. This gives you enough inventory in stock that you can adjust to any changes in the market. 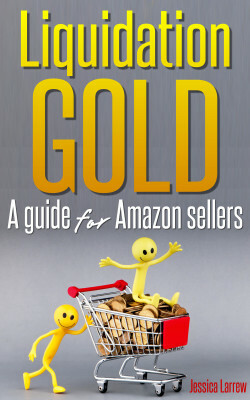 If your item starts selling faster, you have time to order more and a higher amount before you run out. It also means that you will never have more than 3 months stock on hand if for some reason the item tanks…Hey, nothing lasts forever, right? The same goes with wholesale products. Although you won't necessarily be the only person on the listing, the number of sellers on the listing shouldn't fluctuate too heavily. There are a few times that we have purchased very large quantities of products from Liquidation Stores. We find that when a product is discontinued, that the price often goes up in price, while the number of sellers goes down as the item goes out of stock in stores. If there are hundreds of an item available, we often try to “test” the item before we go all in. So, we will buy 10 or so and then if those sell as quick and for as much as we anticipated, we will buy as many as we can get ahold of. 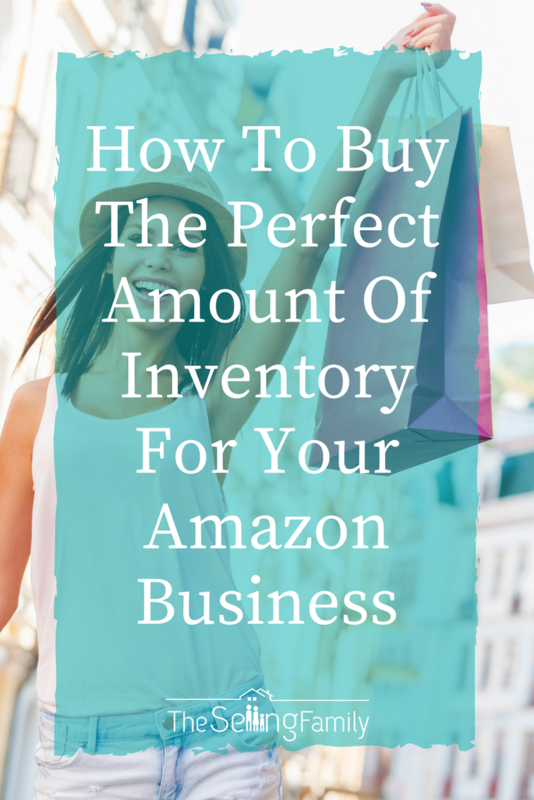 This is a strategy that I only recommend when you are REALLY confident in the purchase AND have experience with how the Amazon marketplace fluctuates. There are a few times that we've gotten burned on products. Now that you know how I determine how many units to purchase of one product, let me know how do YOU decide what quantity you will purchase of a single product? Well I’m new to the Amazon selling , and ive heard. If you just starting you shouldnt go for the top selling product , try to sell something thats in the neutral thats getting brought ! Is that true?? Hi Sheron, Do you mean if you are creating your own product? I haven’t really heard that saying so I’m not sure exactly what it is referring to. Sorry. What about seasonal items? How do you determine to buy based on rankings if items are purchased only in the particular season? Thanks a lot, Jessica. Rank Chart of jungle Scout will definitely helpful during estimation of inventory. Do you don’t have any specific products that you sell? You just look for items all the time? Just trying to wrap my head around what people are selling. Thanks! I enjoyed these tips from a true professional! In the past, I have been burnt a couple of times by NOT following the guidelines outlined in this post. Quick question: How Many is a paid app; any reason you couldn’t get the same info from Keepa, for example (what I’m doing now)? Great article Jessica. Thanks for sharing. Great information but at sometimes still some gut feel and gamble. Probably gets easier with more experience. Well written for all us novices. Thanks! Thanks for this content, I found it very helpful! Just one question, though. Did you perhaps really mean to state: “When buying regular priced items and liquidation items, the chances of the listing NOT becoming saturated are MUCH better!”? I did 🙂 Because I find that my liquidation purchases are products “on the way out” so the availability is pretty low for other sellers to buy it. 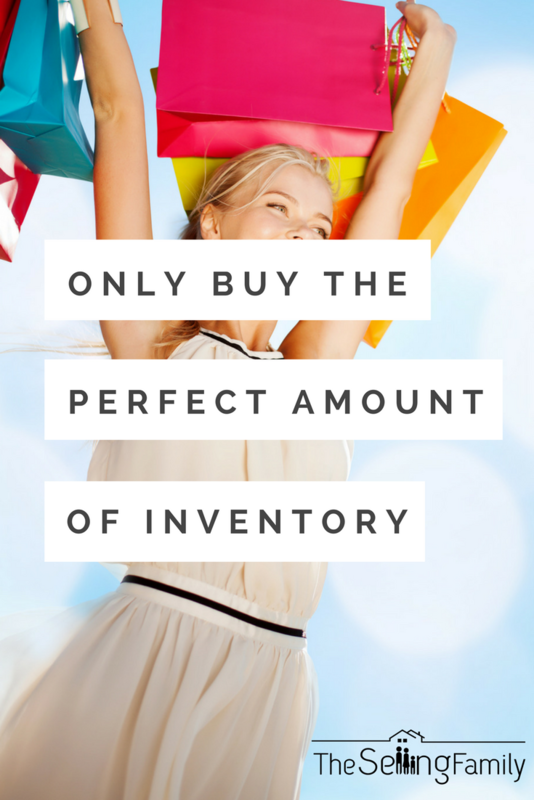 And most sellers aren’t looking for regular priced items, like they are for clearance items. Hey Jack, that is a great story. I think most of us have a similar one. What I learned from having this type of thing happen is I try to think about how much profit I would make on 1 if it sold at my goal price…Then, could how much could I buy with that? Since your profit on the 1 would be like $15, I would easily purchase 15 of them. And of course, now knowing what I do about items with NO sellers, I would’ve bought them all I bet on instinct.